I’m not usually in the business of providing inspirational quotes on this blog. My cynical nature, further honed by law school, prevents me from getting jazzed up over “Just Do It”-type mantras (in fact, sports analogies actually unmotivate me). However, I came across the Oscar Wilde quote above on another writer’s blog, The Siren’s Song, and it stuck with me. It got me thinking about the link between individuality and creativity. Lately, I’ve been listening to old Dolly Parton songs. And I’ve come to admire her– rhinestones, fake 40DDs and all. Yes, that’s right. If you would have told me, in the Simone de Beauvoir-reading, Ani diFranco-listening days of my early twenties that I would actually admire someone whose self-proclaimed style inspiration is “the town tramp,” I would have laughed in your face. I may not listen to much Ani these days, but I’m still a feminist, and I’m not afraid of that label. So how, then, did I come to admire a woman who has taken great pains to look like Barbie? 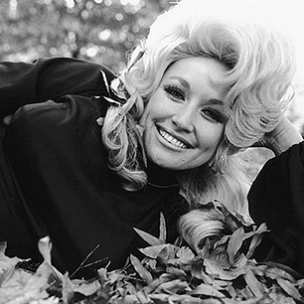 Because Dolly does not apologize for who she is. And I doubt Oscar Wilde did, either. And there’s an immense amount of freedom in that, especially if one is going to pursue a creative career like music or writing. The moment one thinks, You know what? Screw it, is the moment the door to real originality opens. Oh, and here’s another quote for you, since I seem to be on a roll today: “I look just like the girls next door… if you happen to live next door to an amusement park.” Gotta love Dolly. I’m a big fan of Dolly’s. More for her chutzpa than her music. She has been totally honest from the get go and never looked back. Many of the so-called celebrities of today could learn a lot from her… and Oscar Wilde. I love Dolly, no apologies. She is one smart, incredibly talented lady who has survived and prospered in one of the toughest businesses there is and always stayed true to herself and her roots. A true style icon in my book. I’ve always admired Dolly for just that reason. Amen. When I am around folks who don’t apologize for who they are and, in fact, celebrate it is when I feel free to be entirely myself.